Hi my name is Penelope! and I am a 4th generation psychic who has been reading for people from all over the world for more than 25 years. I feel so blessed to have the ability to give divine insight into the past, present and future for my clients. Working with my beautiful spirit guides, I can tune in to your energy and the energy surrounding you, which gives me a very clear picture about what is going on in your life right now, and what you can expect in the future.When I was a small child, I used to make predictions that amazed even my psychic mother and close family members, but my psychic journey really began after I had a near death experience many years ago. My Third Eye chakra really opened up, allowing me to connect with angelic guides and to join in with my psychic family’s list of spiritual advisers as well.I have devoted my entire life to many amazing spiritual practices so that I can help bring light and insight to people using my unique psychic intuitive abilities. over the years I have studied the art of dream analysis, crystals and tarot using many different types of tarot spreads including the tree of life, star guide, relationship, celtic cross and astrological spread, just to name a few. Each tarot spread has its own spiritual information and meaning and really helps confirm the messages I receive from my guides. 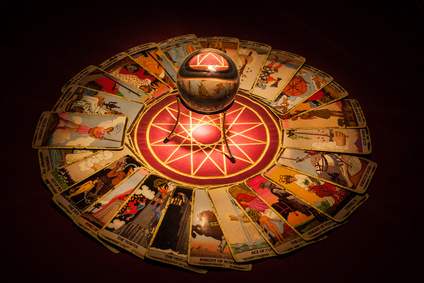 If you are interested in trying a tarot card spread, don’t hesitate to ask.I advise on all matters of life including love, marriage, family , friendships, business, career, finance, travel, separation and more. If you are concerned about an unknown future, or if there is a current situation you are facing at the moment that has you puzzled allow me to help.